Not long before Audrey was born, a very good friend of mine came over for lunch with her 3-year old. We decided to have sushi delivered. When she asked her daughter what she’d like from the menu, without blinking an eye, she responded “a Philadelphia roll” (salmon and cream cheese). As if I wasn’t floored enough at that point, when the food arrived, she proceeded to eat with chopsticks her mother fastened together with a hair tie. 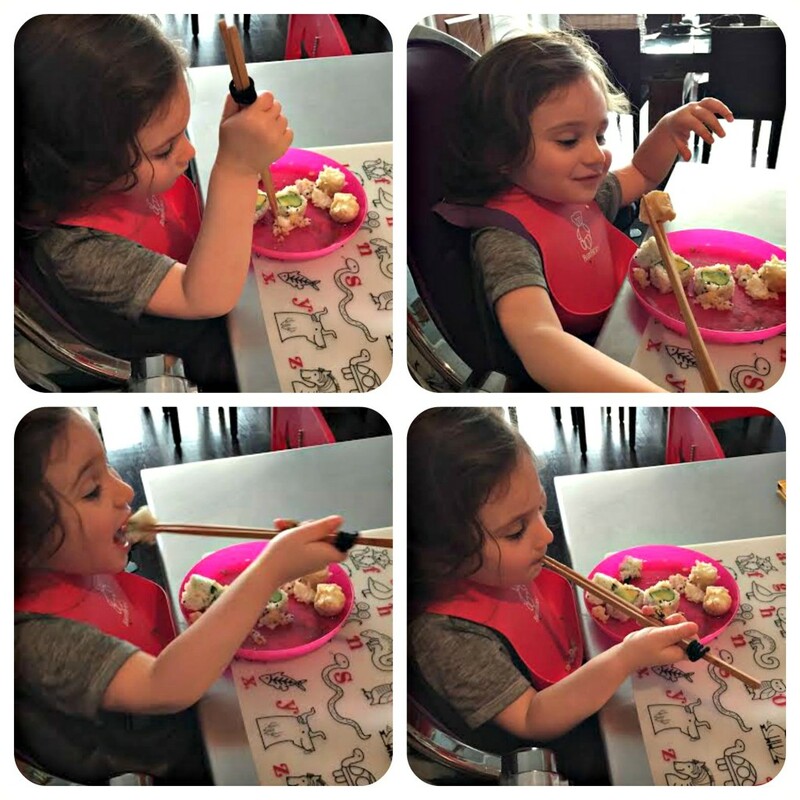 A toddler….with chopsticks. It was one of those moments that will forever stand out in my mind. Adventurous and savvy, this little girl (now 6 and still cool as can be) inspired me in so many ways that day. Three years later, I think of her every time I give my toddler sushi. What once surprised me so much now seems normal. Sushi, while seemingly grown-up, really is an easy, quick, affordable and healthy lunch option for kiddos. 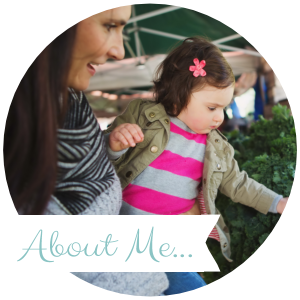 California and Avocado rolls are Audrey’s favorite and they’re also great for beginners. You can get white or brown rice, fish or no fish, or seaweed on the in- or outside (we always do inside out rolls). And I’ve bought the kiddie versions of chopsticks, but they are a total waste of money. Trust me, just use my very clever friend’s trick. Take a hair tie and bind the chopsticks together at the top. The pride you will see on your little ones face the first time they pick up food with them will leave you smiling for the rest of the day. And who knows, they may even inspire somebody one day.